The Astronomical Society of Greater Hartford is a group of amateur astronomers interested in observing, imaging, and generally studying the wonders of the heavens. Meetings are held monthly on the 3rd Wednesday from September through May. 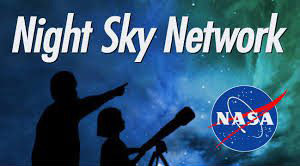 ASGH members are also involved in public education in astronomy through our Public Observing Program and by supporting many Outreach events throughout the year. Our monthly meetings take place at the Copernicus Planetarium on the campus of Central Connecticut State University in New Britain, CT. Meetings begin at 7:30 pm and are open to the public, so come join us. Public observing is held at Van Vleck Observatory on the campus of Wesleyan University in Middletown, CT.